The review applauded Denmark's long-term vision for a low-carbon future - all Danish energy supply is to come from renewable sources by 2050 - and its achievements to date, but also sounded some notes of caution regarding the implementation of such an ambitious strategy. "The IEA commends Denmark and its people for the scope of their vision and their many successes in adopting sustainable energy policies," said IEA Executive Director Maria van der Hoeven as she presented the review. "Even with Denmark's exemplary record, however, challenges remain and there is room for further enhancement if Denmark is to remain at the top of the class. This report provides a number of recommendations for Danish policymakers to consider." Meeting 50% of electricity supply from renewable energy sources by 2020 is a challenge, and Denmark, already a world leader, is better placed than most to meet it. Nonetheless, integrating large volumes of variable electricity supply will require a large reconfiguration of the electricity network, within Denmark and elsewhere. Denmark is well-connected with its neighbors, but more investment in interconnectors will be needed. Furthermore the phase out of coal-fired generation capacity will have to be managed with care. "Electricity security must not be compromised in the medium term," Ms. Van der Hoeven noted. Furthermore, as President of the Council of the European Union, Denmark can play a key role in finalizing the Energy Efficiency Directive which will help the EU reach its goal of reducing the level of energy consumption by 20% by 2020. Denmark is also ideally placed to drive further integration of European electricity markets and facilitate new investment in energy infrastructure. The IEA places Denmark at the forefront of not only renewable energy policy development but also technology research, development and deployment; but others are catching up. Denmark must take the necessary steps to develop training and educational capacity to ensure it continues to enjoy access to highly qualified labor and research communities with skills needed to deliver a low-carbon future. The radical transformation of the energy sector will not be cheap. Denmark has estimated that the transition costs will be in the region of DKK 5.6 billion. Danish consumers must be certain that they are paying for the most efficient solutions and optimal policy outcomes. In recent years, the IEA has emphasized that "the age of cheap energy is over." Denmark has recognized this fact, and the review launched on 21 February makes clear that in this sustained high-price environment, maintaining its position at the forefront of energy policy will be a challenge but worth the investment. The International Energy Agency (IEA) is an autonomous organization which works to ensure reliable, affordable and clean energy for its 28 member countries and beyond. Founded in response to the 1973/4 oil crisis, the IEA's initial role was to help countries co-ordinate a collective response to major disruptions in oil supply through the release of emergency oil stocks to the markets. 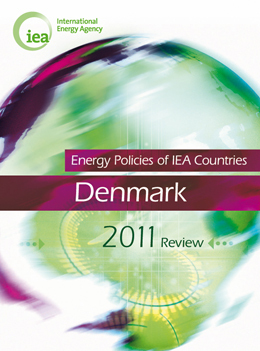 While this continues to be a key aspect of its work, the IEA has evolved and expanded. It is at the heart of global dialogue on energy, providing reliable and unbiased research, statistics, analysis and recommendations.